Enchantingly beautiful, the beautiful fringe earrings are a crowd puller. 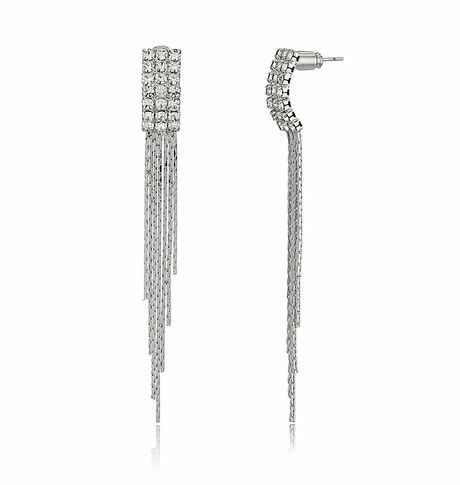 Studded with clear cubic zirconia stones with a bunch of chains, the earrings make a memorable impression. Enchantingly beautiful, the beautiful fringe earrings are a crowd puller. Studded with clear cubic zirconia stones with a bunch of chains, the earrings make a memorable impression.Cancellation and Return Policy: • Exchange allowed post booking • No order cancellation or Refund transaction allowed at the store.